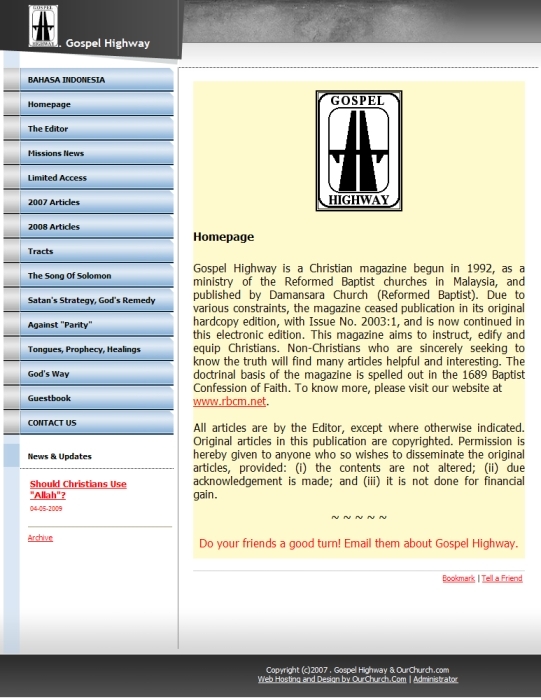 Gospel Highway is a Christian magazine begun in 1992, as a ministry of the Reformed Baptist churches in Malaysia, and published by Damansara Church (Reformed Baptist). Due to various constraints, the magazine ceased publication in its original hardcopy edition, with Issue No. 2001:1, and is now continued in this electronic edition. The doctrinal basis of the magazine is spelled out in the 1689 Baptist Confession of Faith.